St. Christopher’s is listed Grade II*, the chancel and nave were built circa 1360; the west tower and south porch were added in the middle of the 15th century. 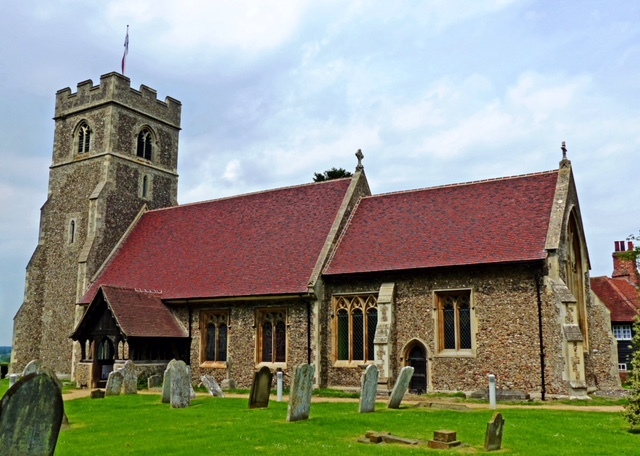 The church was much restored in 1853 by Joseph Clarke when the north aisle was added and the tower and south porch largely rebuilt but retaining their original lines. In recent years over £400,000 has been spent restoring the building and bells including a complete redecoration of the interior, new toilet and kitchen, a new heating system, a sound system and good lighting. These works now give the village an alternative venue for concerts, meetings and lectures. In 2012 a Christmas tree was planted in the churchyard to commemorate the Queen’s Jubilee and in the focus of carol singing in the village in the run up to Christmas. 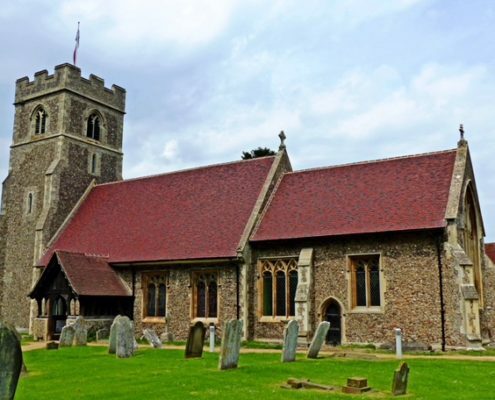 With an excellent Village Hall within 150 yards, St. Christopher’s makes an ideal church for a wedding complete with bell ringing. For further details about hire of the Village Hall please see our links page. St. Andrew’s church shares the churchyard with St. Christopher’s, a situation unique in Essex, and is in the care of the Churches Conservation Trust. Locally Dawn Stokes organises various events and displays in St. Andrew’s. St. Andrew’s is used very occasionally for services.